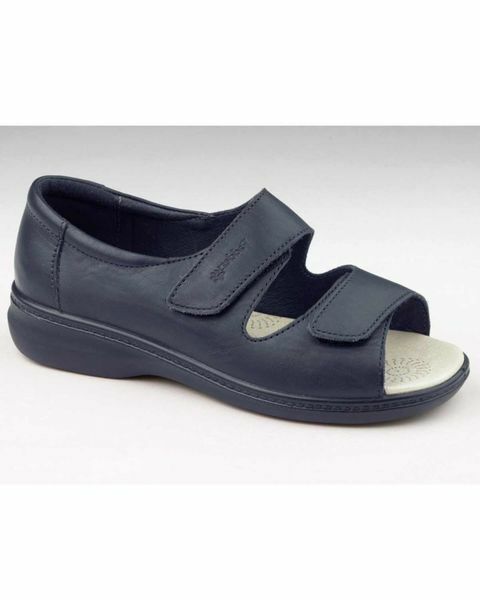 Comfortable and lightweight, leather open toe shoe from Padders. Twin velcro adjustable strap fastening, leather lined and man made sole. Navy leather. EE Fitting.